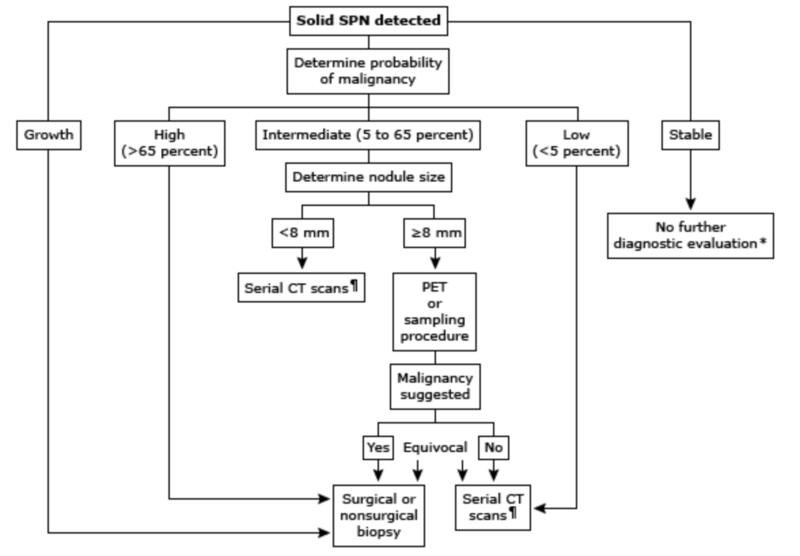 What is the time sequence for the follow-up CT scans? How long do you re-image them for? Low-risk nodules can be serially scanned for 2 years and if no change, can stop repeat imaging as malignant nodules will show some form of change in 2 years.